Patrick Killingbeck Art War Entertainment LTD.
London born actress of Colombian and Spanish descent. My love for acting developed very early on, attending several Youth Theatre groups including the prestigious Anna Scher Theatre School. It was at this school where i embarked on my passion for performance which eventually lead to landing my first role in 2004 Television show "The Pod". I have a strong background in sports and dance especially as a swimmer where i competed in one of the top swimming teams in the country and won numerous competitions. A big martial arts enthusiast i practice MMA and teach Body Combat. Fluent in both English and Spanish. Following on from performance roles, I started getting picked up for Commercials and have since pursued modelling work on the side. I have shot campaigns for brands such as Lululemon, Kleenex, Esprit, Adidas Ultraboost and most recently the new Coca Cola Commercial in Saudi. 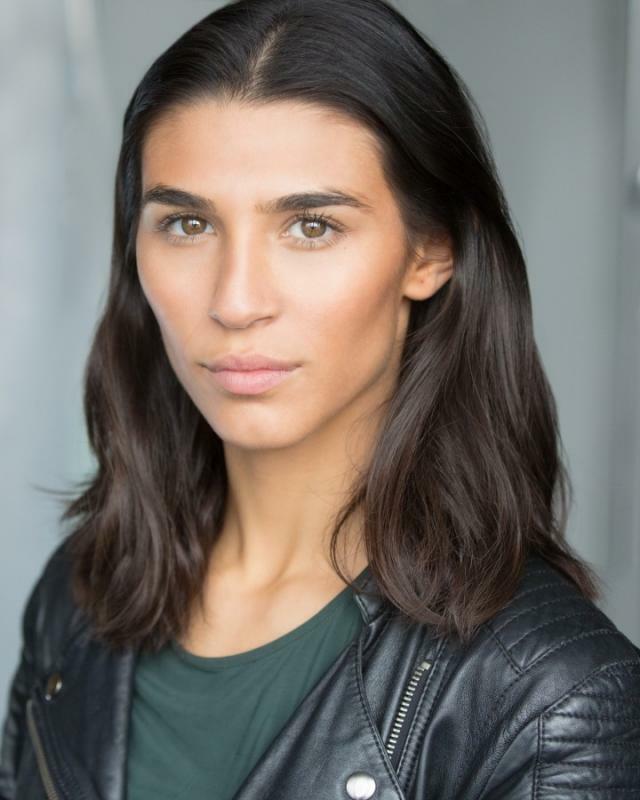 I'm interested in playing strong and challenging female roles that will help me learn and develop new skills throughout my career. I made my feature film debut in Jesters (2016) as Sofia, a Colombian student. I then went on to co-star in films such as Horror remake Unhinged (2017) and House on Elm Lake (2017). Most recently i have appeared in Michael Noer's new rendition of the 1973 classic Papillon as Lali, a Wayuu Indian woman who rescues Papillon ( Charlie Hunnam ) and nurses him back to health. As well as feature films i have starred in several award winning short films such as Salaam St Denis (2016) portraying Hasna Aït Boulahcen the infamous suicide bomber. Lithium (2016) a sole character spy drama and Signs of Silence (2016). In early 2018, I was cast as the lead actress Lotsee in No Man's Land (2019) a Western/Action film set in late 1800's Texas, my first film in the USA. In the film, i perform all my own stunts which include Horse Riding, Knife fighting and MMA. Filming began in March and wrapped in April 2018. Stage combat trained at the BADC in Rapier & Dagger, Smallsword and Unarmed. Archery, Body Combat*, Boxing*, Rock climbing*, Cycling*, Latin dancing, Horse Riding*, Pilates, Running*, Stage Combat, Sword fighting, Swimming*, Yoga*.